If you’re an employer looking to hire contractors from outside your home country, there are a few rules you can establish upfront to try and save yourself problems down the road. 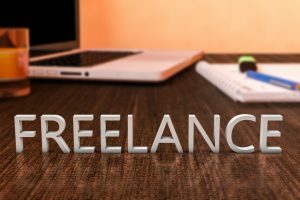 Here are some of the tips to pay your freelancers in a way that will let you retain the good ones, and get the work you need done in a timely manner. Timeframe: be clear about what you expect, and when it should be completed. Also, be reasonable, and allow for the contractor to counter with a deadline that fits their schedule. Establish the base rate you’re willing to pay for the work done: If you under sell, realize you’ll receive lower quality work. Research some jobs around the Web to see the going rates for what you want. Discuss specific qualifications: if you need certain programming languages, or writing proficiencies, state that in the gig so your freelancers know. The more specific you are, the easier it is to eliminate candidates who don’t fit the bill. If you outsource, your freelancer ends up paying some of the costs to receive a paycheck. This comes out of the digital wallet or payment processor you’re using to pay them. If you can, it would be helpful to look at methods for reducing those rates. Digital wallets that transfer money quickly, or wallets that reduce the rates freelancers pay when exchanging currency would both be helpful.